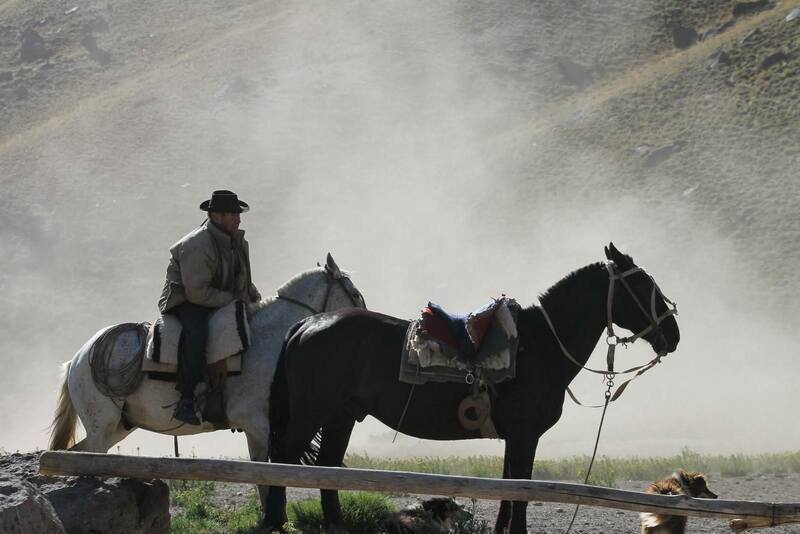 Many consider gauchos part of Argentina’s fabled past, but I’m sitting next to one. 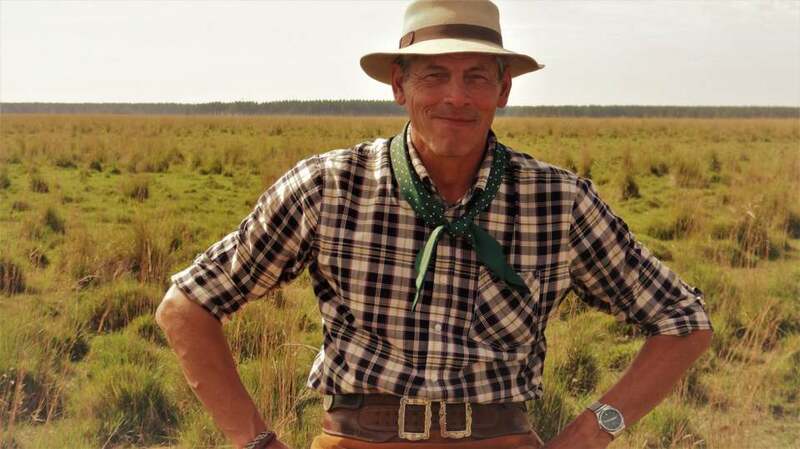 He’s wearing a cowboy hat, long-sleeve shirt, a silk necktie, backcountry pants called bombachas, and a smile uncannily similar to Clark Gable’s. At 58, Gallardo is tall, lean, and looks at least ten years younger than he actually is. Sometimes he acts even younger, like when he’s completely absorbed in uploading photos to his Facebook page. Handling technology doesn’t come as easily to him as handling horses, but even gauchos have to be on social media these days. Which begs the question: what is a gaucho, anyway? 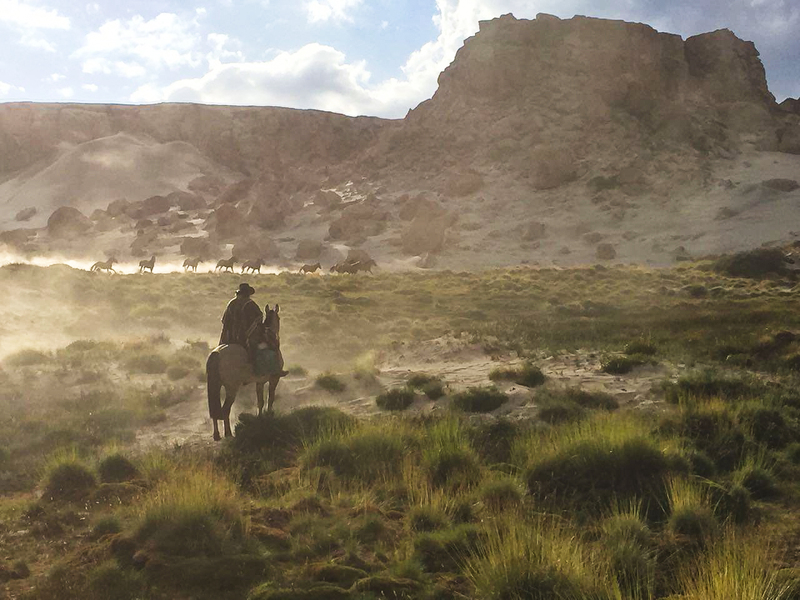 Despite their prominent role in Argentine culture and identity, gauchos are rather difficult to define. Historically the offspring of indigenous people and Europeans invaders, their existence initially went unrecognized by law, making it impossible for them to go to school, be employed, or buy land in Argentina. Basically, they had no rights. 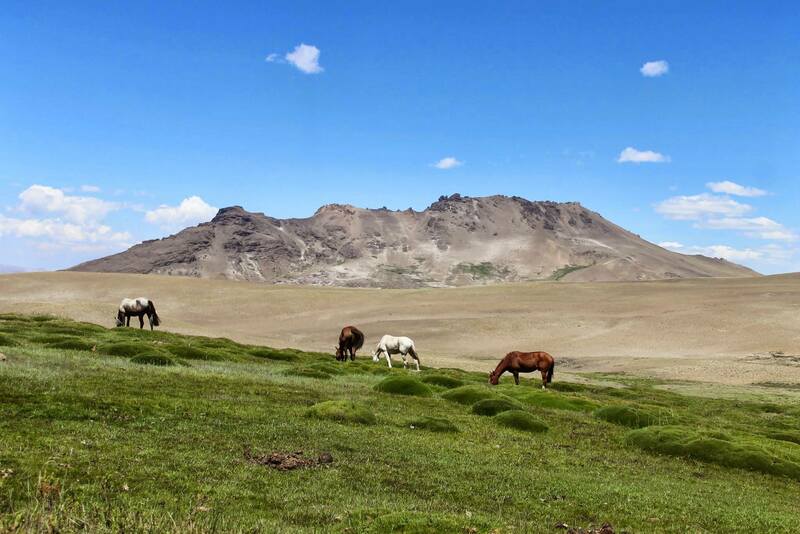 So they roamed the country like nomads, living however they could – which often involved some measure of violence – many becoming expert horsemen (and, doubtless, some horsewomen as well) in the fight for survival. 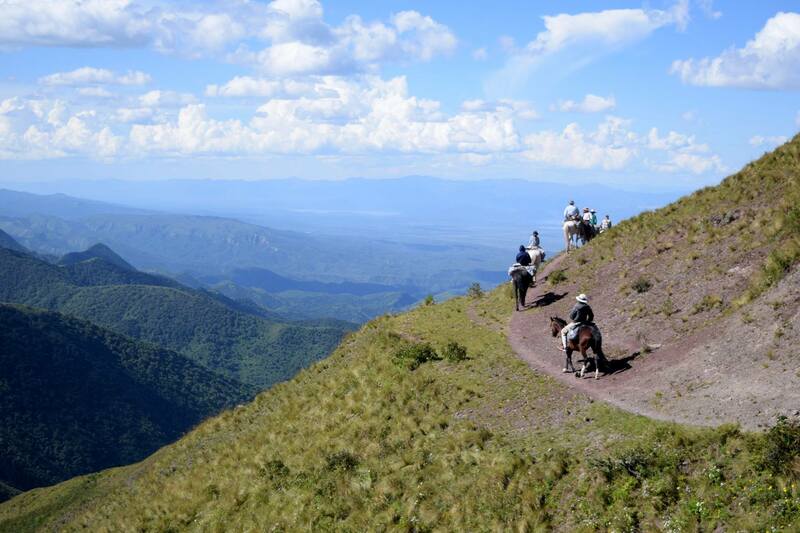 In the early 1800s, gaucho culture extended up into Brazil and over to neighboring Uruguay. 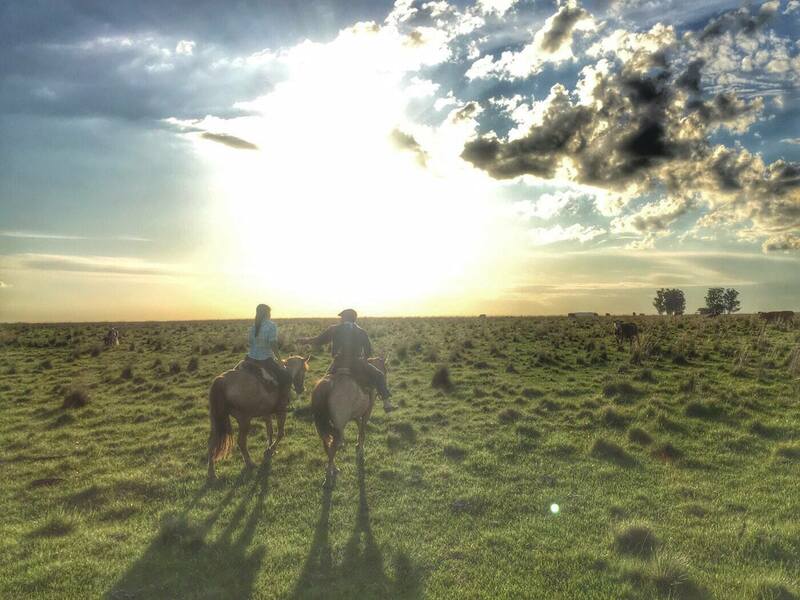 In Argentina, their stronghold has traditionally been in The Pampas and the River Plate Basin. 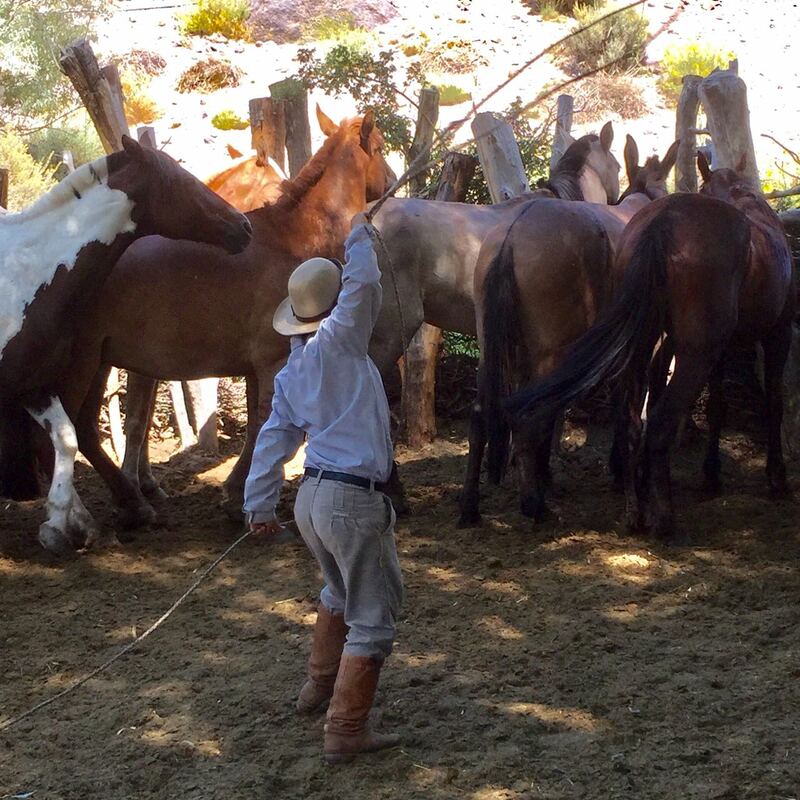 Asked to define a gaucho, Gallardo referred me to a Spanish idiom from his native Corrientes, “hacer una gauchada.” Literally, the expression means, “acting like a gaucho,” but it’s used in Spanish the way “I got your back” is used in English. In other words, to “do a gaucho” is to go out of your way to help someone and expect nothing in return. In Argentina, gauchos have a mixed reputation. Some consider them essentially rednecks. Others think they were nothing better than hooligans on horseback whose history has been romanticized. Still others blame them for playing a role in efforts to eradicate indigenous culture at the turn of the century, while the other side has them more in the Robin Hood category. 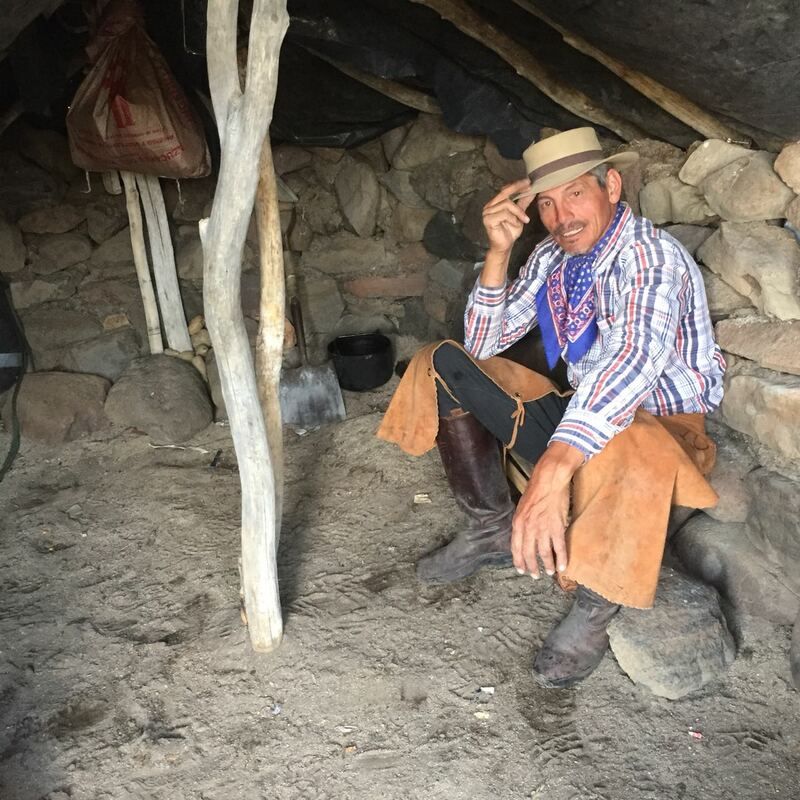 The irascible gaucho Martin Fierro of the famed book of the same name is often held up as the iconic gaucho, despite the fact that the character was created by a bourgeois Argentine of Spanish descent. In short, interpretations abound. Gallardo has about a dozen books in his library titled “The Gaucho.” The word gaucho itself reportedly comes from the Arabic word chaouch, meaning foreman, the whipper of the animals, muleteer. The word came into Spanish by way of the Moors. 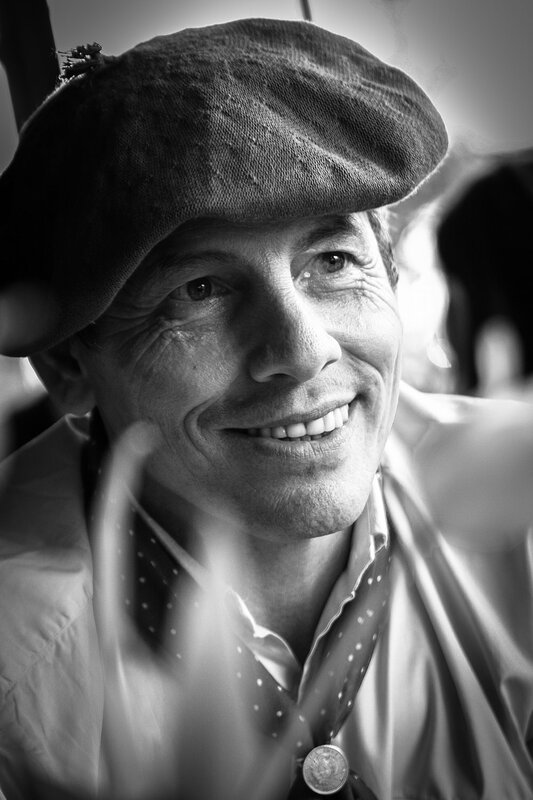 Gallardo says there’s a whole new generation of gauchos arising in Argentina. I saw a few of them: young gauchos working the horses in his native Corrientes, which is part of the River Plate Basin and historic gaucho territory. But “it’s not like you can really define a gaucho, it keeps mutating, growing,” he said. Corrientes is a staunchly conservative province proud of its traditions. Gallardo’s passion for Argentine history and culture, inculcated from a young age, forms a key part of his entrepreneurial spirit. Like the United States, Argentina is largely an immigrant country whose culture is characterized by a mix of European influence and traditional South American life. 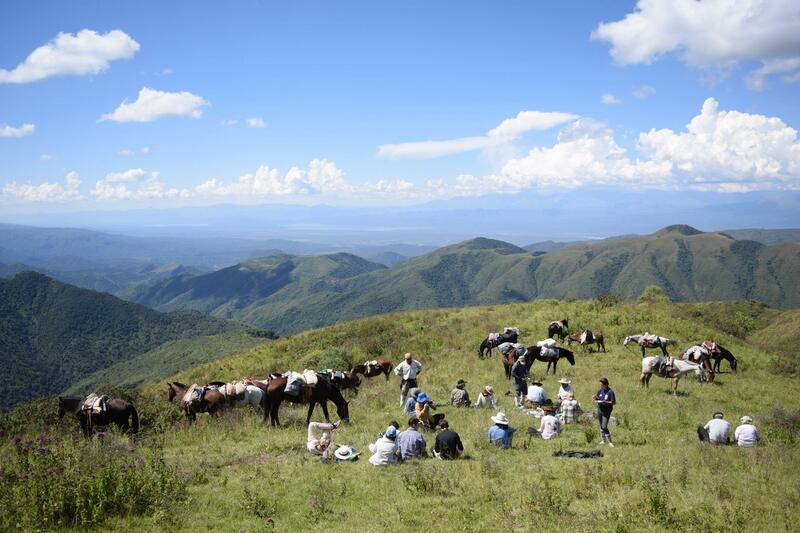 As such, Gallardo considers cultural exchange part of his national heritage and tries to nurture it in the international environment created, however briefly, on the horseback-riding trips he leads, which is where he really lives out his gaucho life. 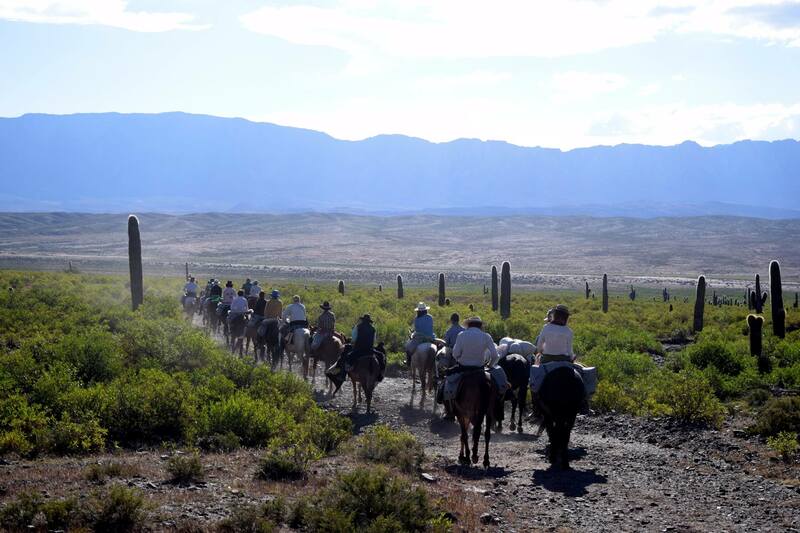 The project is part of a wave of culturally-focused tourism initiatives in Argentina. Twice-divorced and the father of five, Gallardo started the horseback-riding company “from zero,” as he put it, after losing everything in a lawsuit when one of his employees crashed in a car borrowed from Gallardo’s cattle ranch. For a while, he and his (then) three small kids barely scraped by. Well, maybe that’s because he’s not just anyone — he’s a gaucho, and he’s going global. 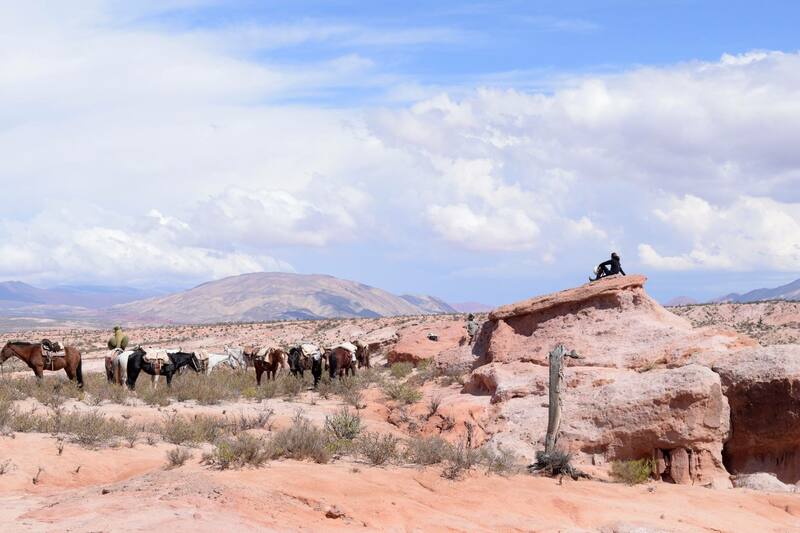 With Argentina newly open to international markets and home to a burgeoning start-up industry, Gallardo has quite literally spent years in the saddle thinking about how to prosper here, and his entrepreneurial vision is an interesting one. 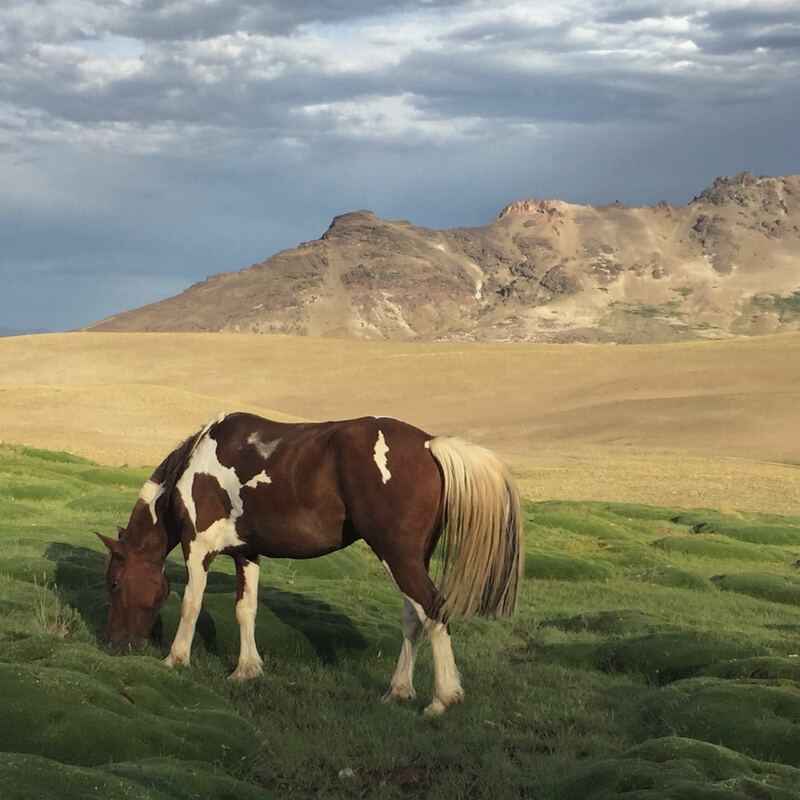 “I started out with 100 opinions against me, that I’m crazy, that it doesn’t exist, that it can’t exist,” he said of Gaucho Argentino, his horse-riding tourism company that works to preserve Argentine cultural identity by initiating sustainable tourism in struggling (mostly indigenous) local communities. It’s true. When we arrived in Las Loicas, a largely Mapuche community with whom Gallardo works near the Chilean border in the province of Mendoza, I was surprised to learn that they didn’t even have a pharmacy in the village. 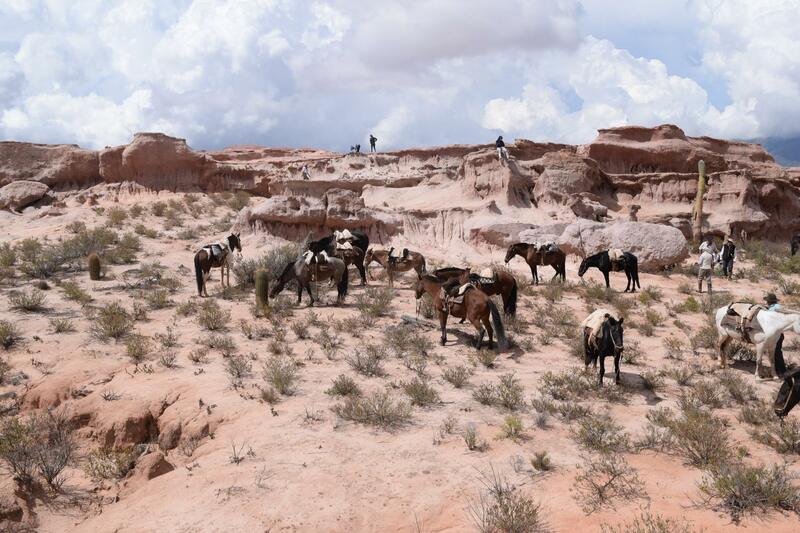 The closest one was a three-hour car drive away in a place where horses were clearly the main means of transit. Most people live in adobe huts. Electricity is supplied only for certain periods during the day, barely enough to keep a freezer functioning. 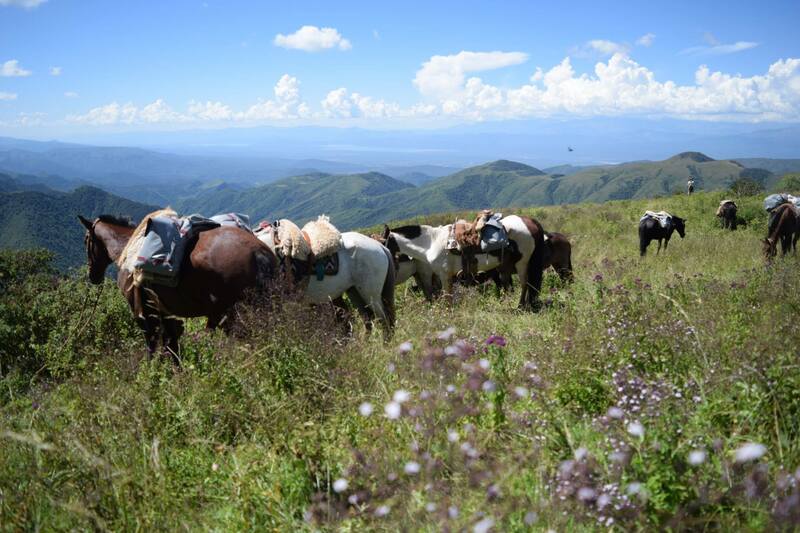 Founded in 2000, Gaucho Argentino offers four-night, five-day all-inclusive horseback riding adventures crossing the Andes in Mendoza or Salta, as well as horseback trips in Corrientes, where they have a luxury ranch. They are currently working to expand in Patagonia and Córdoba. Most of their clients are Europeans or from the United States, with a smattering of wealthy Argentines. An ambitious entrepreneur with an interest in humanitarianism, Gallardo sees his fast-growing tourism company as a means to address social justice issues and preserve cultural heritage in Argentina. It’s glory dearly won, at times. Gallardo shows up in small, traditional communities as the outsider, an outsider proposing Western-sounding, business-oriented ideas, at that. Don’t forget the gaucho look. It took him eight years to win trust and start a partnership with a community of Incan descent in Salta, for example. Would it have been easier to move in with his own team? Of course. But that’s not the idea. “I’m not here to colonialize anything, I don’t want them to change their culture, I want to generate an income for them that will allow them to maintain their culture,” he told me as we bounced around in his pick-up truck on the 10-hour ride from Córdoba to Salta. “What I generate, what the people who work with me generate, spills over into these communities, to these families,” he said, estimating that some 80% of the company’s revue goes back to local families and operational costs. Material needs aside, Gallardo hopes that the indigenous people, whose culture and values have long been swept disparagingly under Argentina’s post-Colonialist rug, will see their traditions appreciated by people from all over the world. 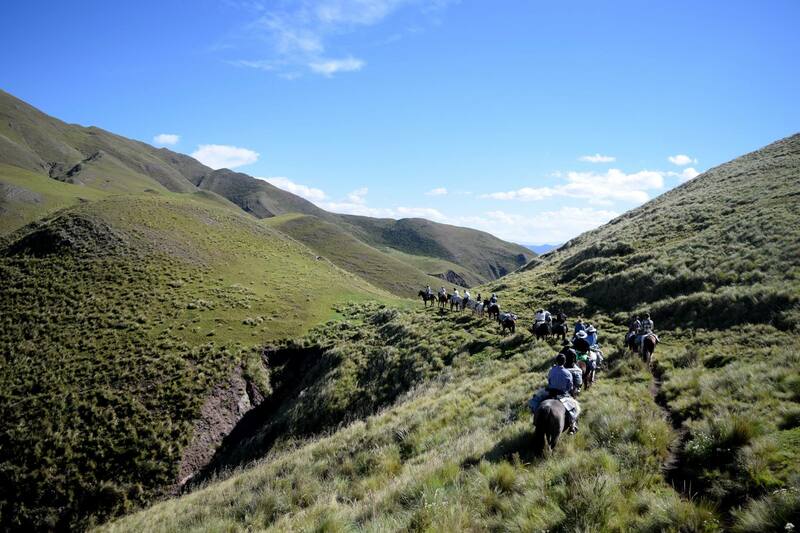 Most of Gaucho Argentino’s horseback-riding adventures take place high up in the Andes, far away from cell signal or wifi connection. 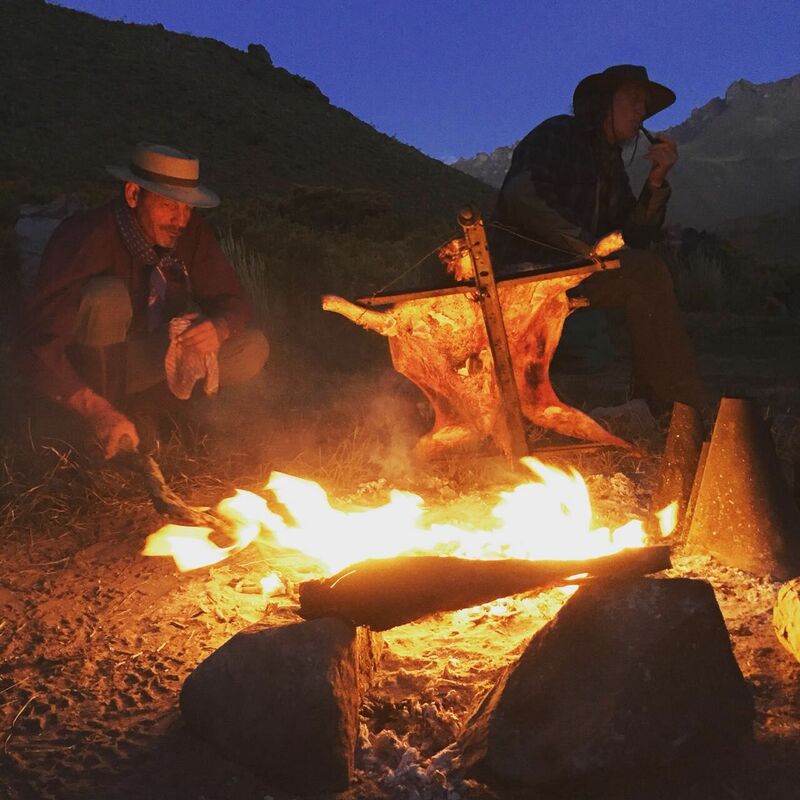 Stripped of technology, at the end of the day clients are pretty much left to stargaze or drink wine around a fire listening to Gallardo sing traditional Argentine music. The forerunners of the gauchos were gauderios, or traveling minstrels. They passed on their distinctive song – a kind of half-sung, half-spoken storytelling – to the gauchos, making music a critical part of their identity. 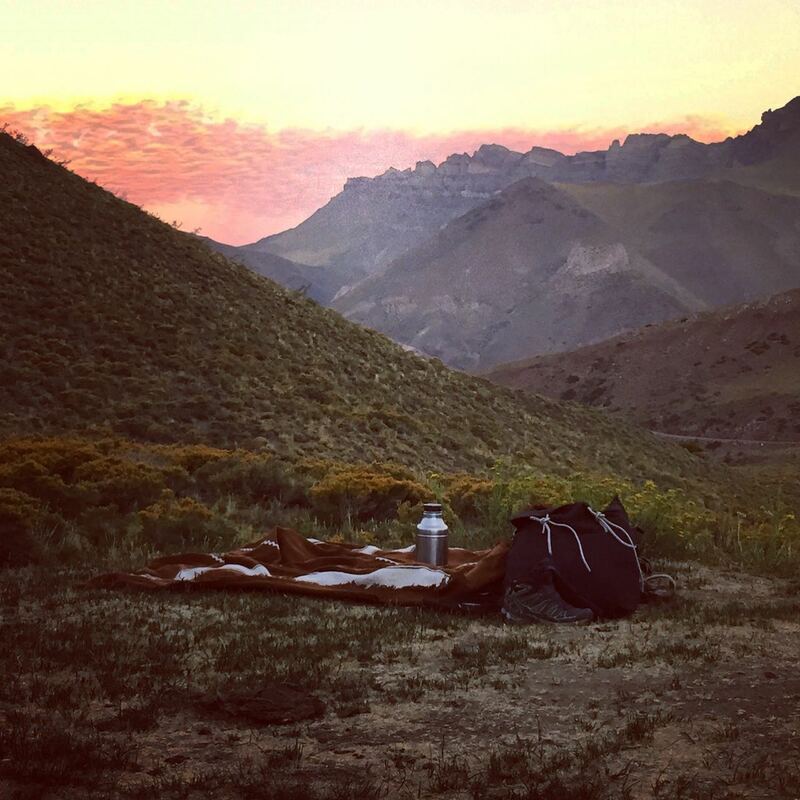 In Argentina, some fear losing their cultural traditions and identity — be they Argentine, gaucho, or indigenous — in a globalized world, particularly since the 2015 election of internationalist President Mauricio Macri. It’s an issue that Gallardo’s taking on in style. 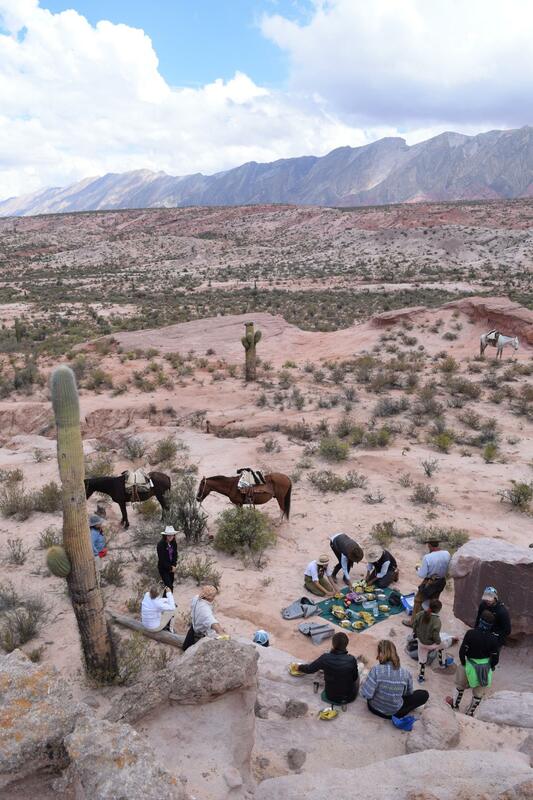 Europeans fly in for his horseback-riding trips eager to don their ponchos, stroke the country’s native Criollo horses and drink Malbec (which Gallardo provides in abundance). Many visitors from the U.S. shed their flip-flops for alpargatas, the iconic Argentine casual footwear. 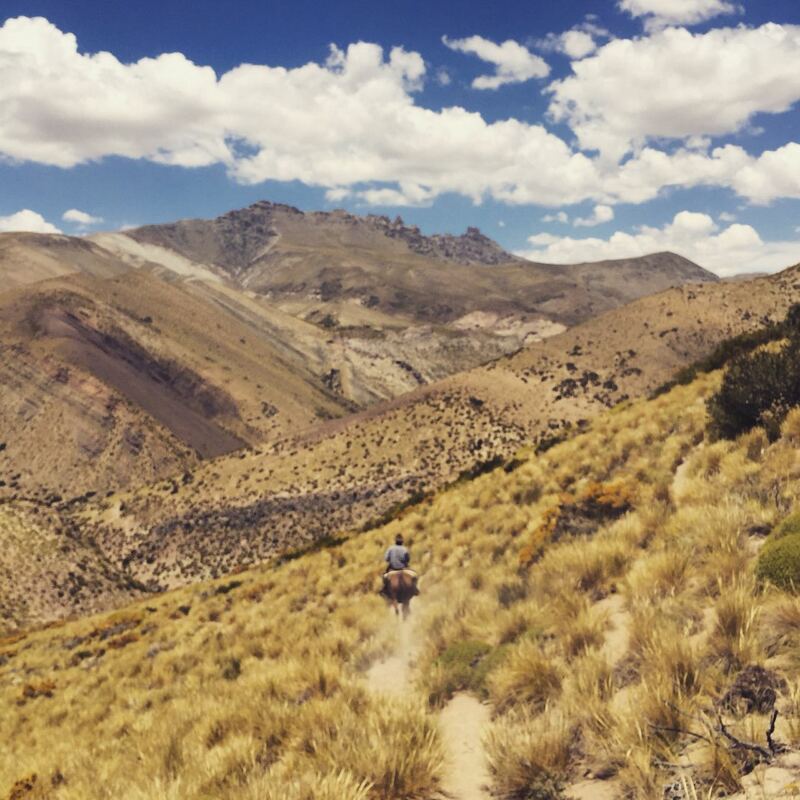 Argentines, for their part, see a side of their own country many never knew existed. 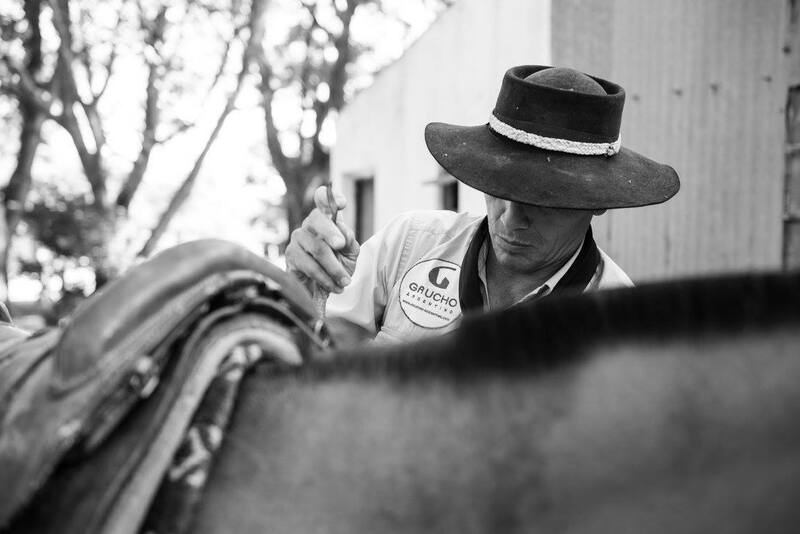 As for Gallardo, a former army lieutenant and professional polo player, gaucho life is his passion. 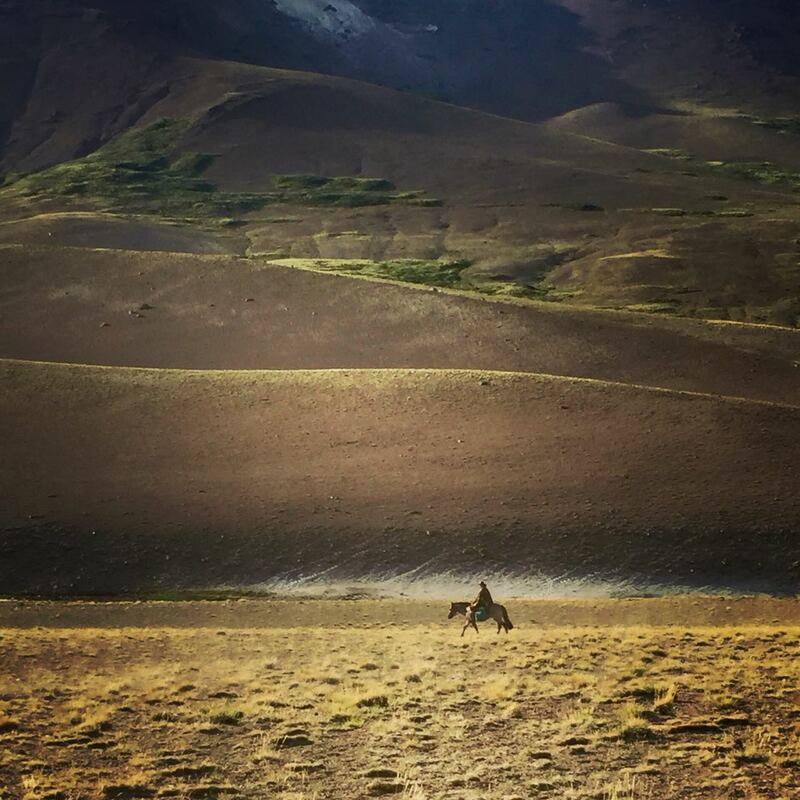 There’s no place he’d rather be than in the saddle. 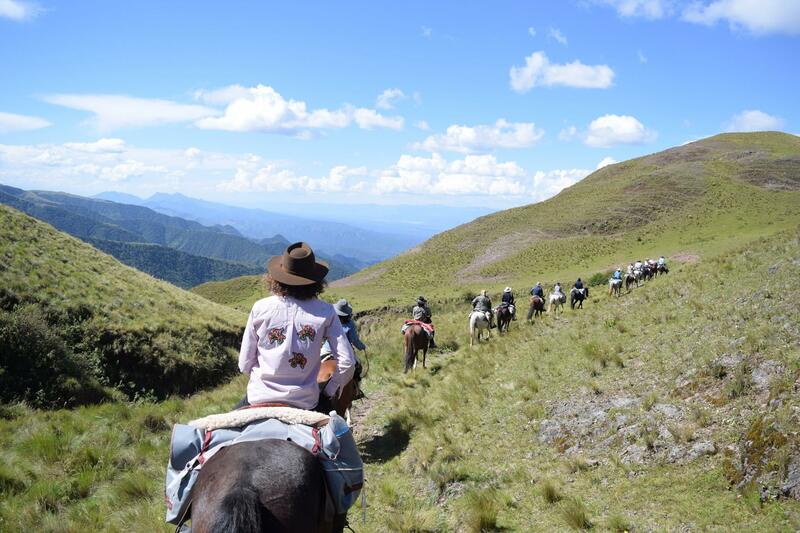 Every year, true to his nomadic gaucho roots, he covers some 50,000 kilometers of the country, spending three months of each year in a different province to lead groups on horseback. He’s willing to do whatever it takes to give people a taste of the gaucho life he loves – even if it means starting from zero. 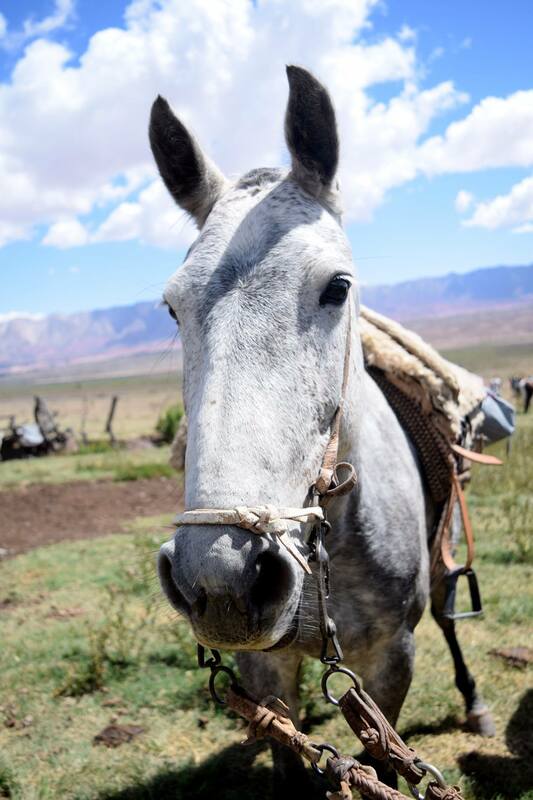 For example, I arrived in Mendoza having never seriously mounted a horse in my life. No problem, he said, I’ll teach you while we cross the Andes. Everything went pretty smoothly until the night Gallardo and I had to leave early together to get me to my bus on time. 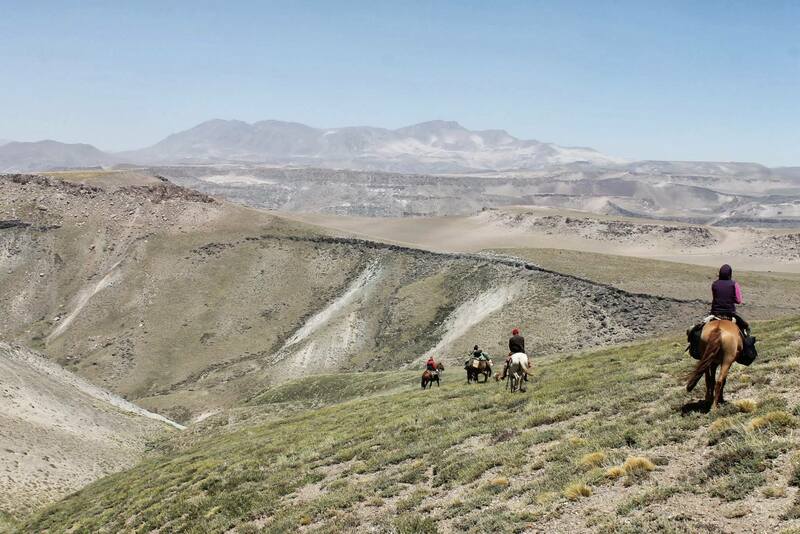 Suddenly, with no announcement, he took off at a canter, his cowboy hat disappearing in a quick descent. I had about two seconds to collect my wits before taking off after him. We covered two-and-a-half hours of riding in 45 minutes, most of it at breakneck speed in failing light. At first I held on for dear life, but eventually I began to apply what he had been teaching me over the past two weeks. A half-hour in, I had it together enough to notice the streaks of pink studding the evening sky. I learned more in that one ride than my entire two weeks in the Andes combined. When we arrived, he met my look of consternation with a playful smile. That’s the other thing about gauchos — they’re men of their word. Kristin Deasy is an international correspondent and artist who has lived and worked abroad for the past ten years. Her journalistic work has focused largely on human rights, culture, religion in Europe and the Middle East, and more recently on Argentina, her home of the past five years. Follow her adventures on Facebook. All photos by Sophie Moreillon, Celi Kammerath, Ana Cardozo, and Cathy Brown.